The energy generated from photovoltaic (PV) panels depends usually on the PV cell technology used and meteorological data at a given location. 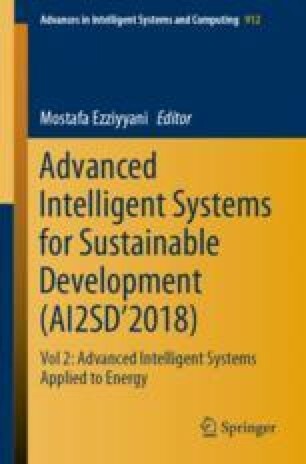 This work presents a comparison study of 2 × 2.04 KWp grid-connected PV module technology systems, constituted by two types of photovoltaic solar panels (Monocrystalline and Polycrystalline)-silicon, installed on the roof of faculty of sciences Ben M’sik Casablanca. Three types of results are presented. The first type is the performance evaluation for one year of exposure under natural outdoor conditions including: System efficiency, reference and final yield as well as the performance ratio. The second type is based on simulation data given by PVsyst 6.4.3, compared to experimental data obtained through the inverters of the installation and meteorological station. The third type is an economic analysis including the most commonly used financial parameters, which are the annual incomes (Ai), the cost of electricity of operating period (LCOE) and the payback period (PB) in order to determine the optimal technology for the city. The investigation of the annual productivity shows that Monocrystalline and Polycrystalline deliver an energy of 3325,711 Kwh/year and 3250,842 Kwh/year respectively. The experimental results show that the monocrystalline-silicon is the best technology for Casablanca city. All the authors as well as all the rest of the “PROPRE.MA” partner are grateful to IRESEN for financing this study and would like to thank all the IRESEN staff for their support.